YOU ARE "All that and a Bag of Chips!" Ms. Winners for going beyond the call of duty, on behalf of 3A and 3B students! Ms. Conner for meeting both time and accuracy on RM City! Cafeteria Staff for the super delicious lunch and feeding all the extra people with patience and grace! “All that and a bag of Chips” box is located in the work room. Teachers, we will be doing a raffle at the HATW event. Please make sure to bring a toy. If you do, you will receive a 10 minute massage from a certified therapist! Please submit to Ms. Davidson! Thank you! What a difference! We are definitely on our way to our mission!!! Thank you Grade Level Chairs for communicating to your teams about tightening our hallway procedures. I have noticed an improvement in the hallway. We still need to continue to make sure students are always "hall ready." We need to emphasize that students remain in one line as they walk in the hall to allow for two-way traffic. We have also noticed the number of students implementing their social skills! Ms. Barringer and I have been greeted as we have entered the classroom. Although that isn't an expectation for students to greet us, it is great practice! Keep it up! This means you guys are really training your kiddos on the importance of these social skills. Thank you! Thanks also to Mr. Lugo, the students, and Ms. Barringer for these videos! We are not going to forget about "greetings" because students are still expected to be using them, but we will be focusing on additional communication skills including "responses." Please see below. When responding to an adult, answer by saying “Yes ma’am” “Yes sir” or “no ma’m” or “no sir”. Just nodding your head or saying any other form of yes or no is not acceptable. This is one of the most important rules, because it sets the tone for the type of respect we expect from students. When working with adults, students that use this greeting lets the adult know that they are respectful. One elementary school teacher that worked with 5th grade students in Harlem, New York was wanting to prepare them for interviews to attend a high-rated middle school. There were only 30 openings from across the big city of New York, and 12 of this teacher’s students applied. He told them to make sure when being interviewed that every time they respond to questions with “Yes ma’am” “Yes sir” or “no ma’m” or “no sir”. Weeks after the interviews, he found out that all 12 of his students were accepted to the school. The comment he heard from the middle school was how polite his students were in the interview. It seems like something simple and small, yet it is a big deal! The video will be emailed to you on Monday for the week! Ms. Ellis and Ms. Florin will be providing updates to the testing schedule next week. Keep posted! On Google Drive (Science Fair Folder) there is an English and Spanish version for 3rd-5th independent projects OR for a guide for teachers K-2nd classroom projects. 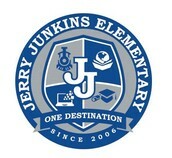 K-2nd must sign up on googledocs to reserve topic so there are no duplicates. Reminder…..this is an experiment to discover answer to a question….not a research project! Have fun! December 17th: Holiday Staff Party! Character word of the week is citizenship. Please send your 3-4 students with a sentence using the word citizenship. Please see announcement script on Google. 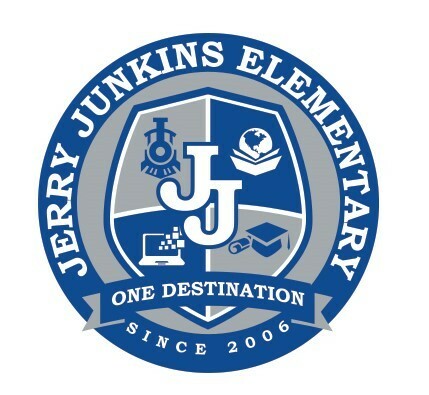 Jerry Junkins seeks to be a premier elementary school by creating global citizens through setting and achieving high expectations for students. Our mission is to provide a supportive culture for the twenty-first century learner to reach their academic destination and become productive citizens of the world.